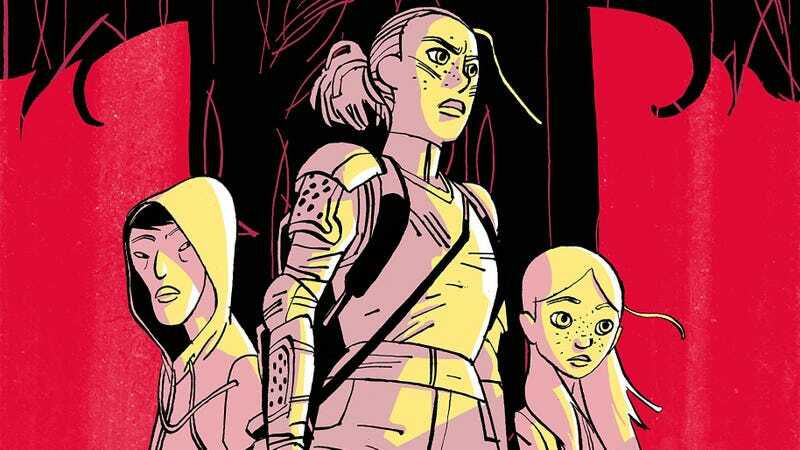 First Second’s Spill Zone is one of the year’s most pleasant graphic novel surprises, introducing an exciting, heartfelt, and visually striking sci-fi concept from writer Scott Westerfeld, artist Alex Puvilland, and colorist Hilary Sycamore. Westerfeld is best known as a novelist, but he’s crafted a story that takes full advantage of the visual medium to take readers into a strange, beautiful environment that warps reality in fascinating ways. Telling the tale of a teenage girl who lost her parents when their hometown was transformed into an environment where physics don’t apply and deadly monsters roam the streets, the first Spill Zone balanced compelling character development with thrilling action and lush spectacle, and the sequel is going even bigger as it explores a second Spill Zone in North Korea. First Second took an unconventional approach to the release of Spill Zone, serializing individual pages online before releasing a printed edition. It’s taking the same approach for Spill Zone: The Broken Vow, beginning the sequel this Wednesday at thespillzone.com. This exclusive unlettered preview gives a taste of the intense atmosphere and visual splendor that made the first book so engaging, and readers should check out the website over the next few weeks for the final versions of these pages. This excerpt is a mix of pages that offer a look at the trippy imagery inside the Spill Zones as well as the grounded storytelling of scenes outside those locations. And no matter the setting, Puvilland and Sycamore bring a sense of foreboding drama to the story. The printed edition of Spill Zone: The Broken Vow will be out in July of next year, but in the meantime, readers can return to this world by checking out the website for weekly updates.